Strategic planning meeting with Mitcham Historical Society. BCA Education and Revegetation Committee meeting at Urrbrae Agricultural High School. BCA and many of our partner groups attended the Community Forum. BCA/FOBHC/DEW/NRM Project Plan Meeting at Eastwood Natural Resources Centre. Developing a BCA 5 year work plan for Brownhill Creek Recreation Park. 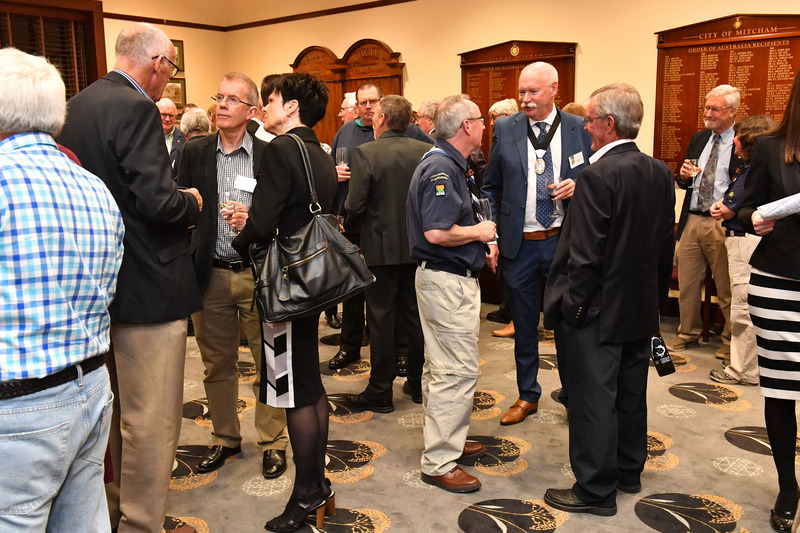 From Left: Rod Ellis (Secretary & Treasurer FOBHC); Ron Bellchambers (BCA Community Liaison Officer); Professor Wayne Meyer (BCA Chair); Eric De Smit (DEW); Kurtis Madigan (DEW); Sophie Bass (NRM); Bec Brown (DEW). Please note that Jen Pitman (DEW) took the photo. Conservation Volunteers Australia/Corporate Bandicoot Day. CVA/Corporate volunteers installed Bandicoot Bungalows in Brownhill Creek Recreation Park. Community watering of plants at new native revegetation site. 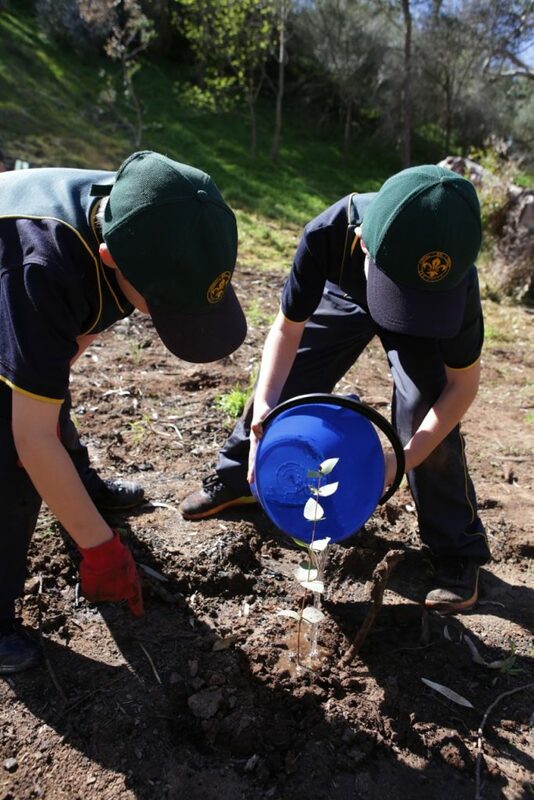 FOBHC/Community watering and care of new native revegetation site. On site meeting with the Rotary Club of Brownhill Creek. 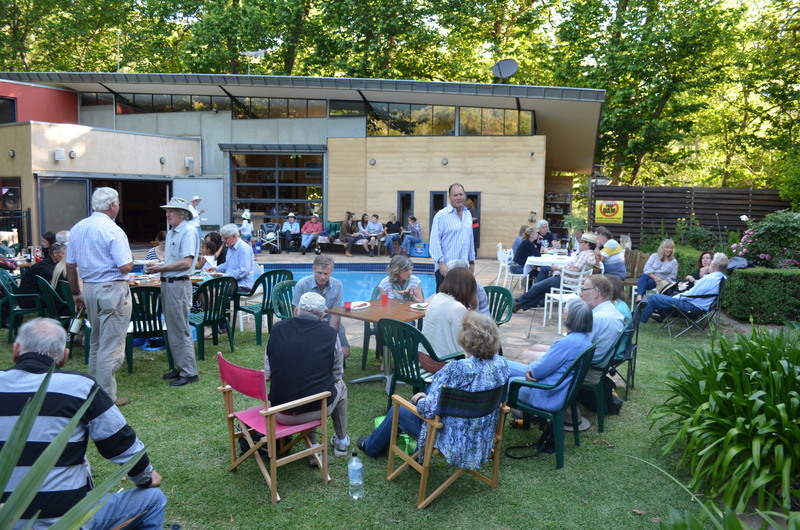 Wirraparinga Loop Trail Committee meeting at Carrick Hill. *Ongoing contractor works for weed control/maintenance of the park (contracted by BCA). BCA represented at Mitcham Historical Society and the Rotary Club of Brownhill Creek annual Christmas events. 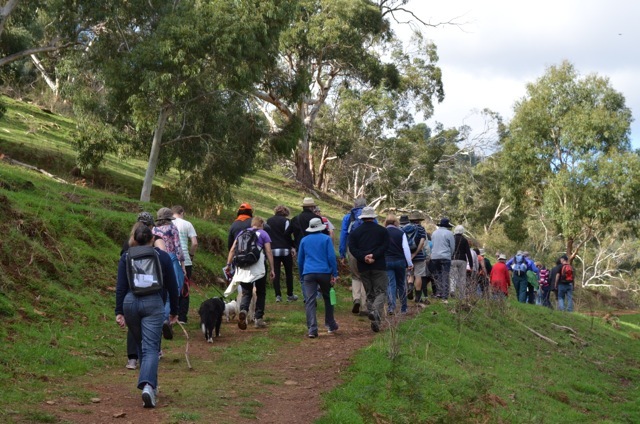 Wirraparinga Loop Trail: Trail Committee planning/audit walk. 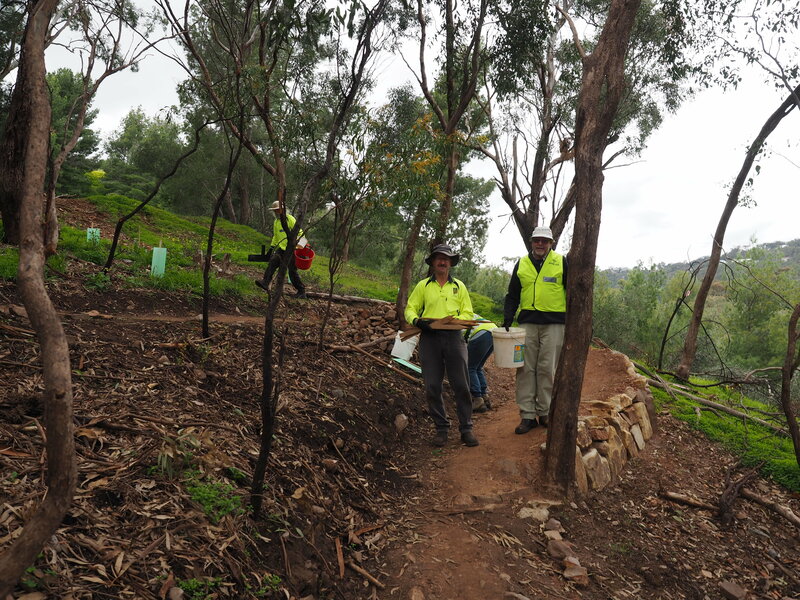 The Friends of Brownhill Creek (FOBHC)/local community working bee. BCA Education & Revegetation Committee meeting. 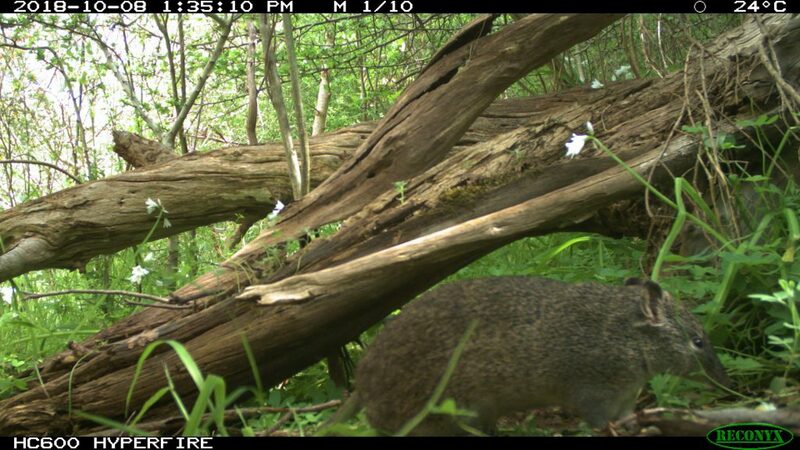 Latest Southern Brown Bandicoot photos from Brownhill Creek Recreation Park, courtesy of Darren Kennedy, Manager of Conservation Volunteers Australia (SA & NT). There are two filmed together! Darren is carrying out systematic monitoring to provide baseline data for conservation and restoration works. Monday 8 October: Official Presentation of $100,000 Cheque to BCA. Minister for Environment and Water, David Speirs MP and State Member for Waite, Sam Duluk MP, presented a cheque to BCA for $100,000. 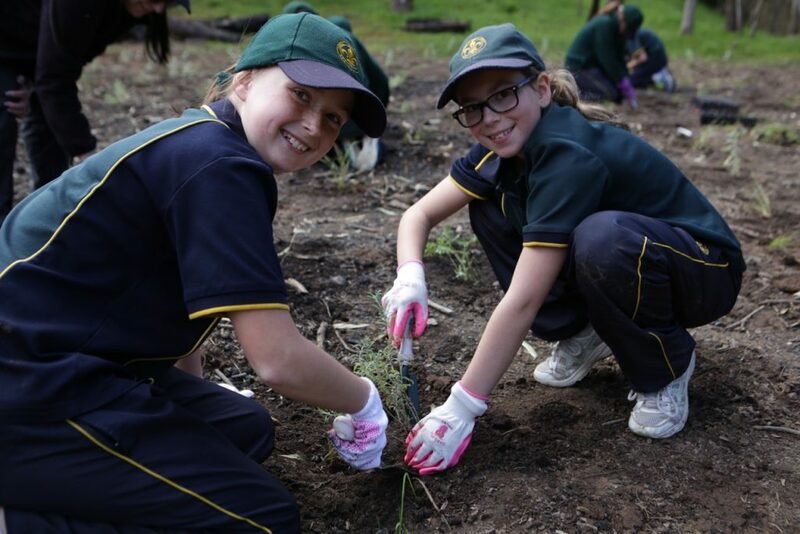 This grant is to be spent over the next five years to support the volunteer work of The Friends of Brownhill Creek and schools (coordinated by BCA’s Education and Revegetation Committee) in native revegetation and habitat restoration projects. These projects in Brownhill Creek Recreation Park are an integral part of the Connecting Communities: Wirraparinga Loop Trail Project. This grant is a vote of support for the community development work and our collective vision for the future of this environmental/cultural heritage and tourism precinct. Thank you to the large gathering of partner community groups and members! From left to right: Sam Duluk MP, Professor Wayne Meyer, Ron Bellchambers, Minister David Speirs MP. Considering that it was school holidays and during the working week the gathering was substantial (the apologies are too long to list). Gathered together were: Minister for Environment and Water David Speirs MP, Sam Duluk MP (State Member for Waite), Professor Wayne Meyer (BCA/The Friends of Brownhill Creek), Ron Bellchambers (BCA/FOBHC/MHS), Secretary Rod Ellis, Dr Peter Dillon & Peter Reeve (FOBHC), Vice-Chair Dave & Trish Cosh (Mitcham Historical Society), Alan & Pam Deverell/ President Antoinette & Malcolm Lindquist (Rotary Club of Brownhill Creek), Secretary Neville Haar and Richard Gellert (Mitcham Lions Club), Darren Kennedy (Manager Conservation Volunteers Australia/FOBHC), Jim McLean (Walking SA), Kurtis Madigan (Acting DEW Park Ranger for Brownhill Creek Recreation Park), Jeremy Gramp & Steve Walker (NRM Education Officers/BCA Ed & Reveg Committee), Wes Parker (Teacher Urrbrae Agricultural High School/ BCA Ed & Reveg Committee), Jordan Norman & Joshua Morrall (mentoring students from Urrbrae Agricultural High School involved in native revegetation and habitat restoration projects), Kate Frankham (student Mercedes College involved in native revegetation and habitat restoration projects) & mother Kathy, Antony Veale and Karen Collins (BCA members). 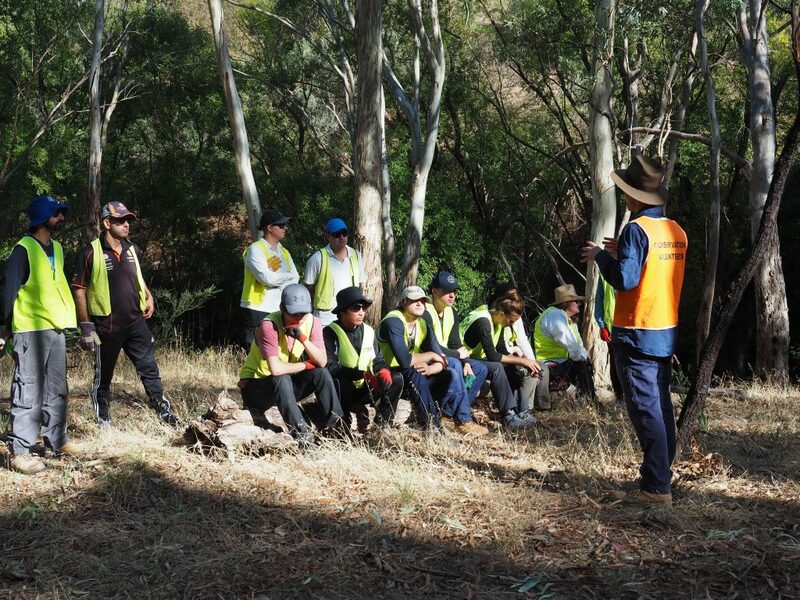 All of the gathered volunteers are partners in the Connecting Communities: Wirraparinga Loop Trail Project, involving cultural heritage, education, native revegetation, habitat restoration and park maintenance. It is worth remembering that these volunteers are actively involved in many other significant community projects/community service of their own! Saturday 6 October: Community working bee at the main revegetation site. Please meet at the car park just upstream from The White Bridge, under the large heritage Stone Pine. Please bring gloves, a bucket and a hammer (if you have one). 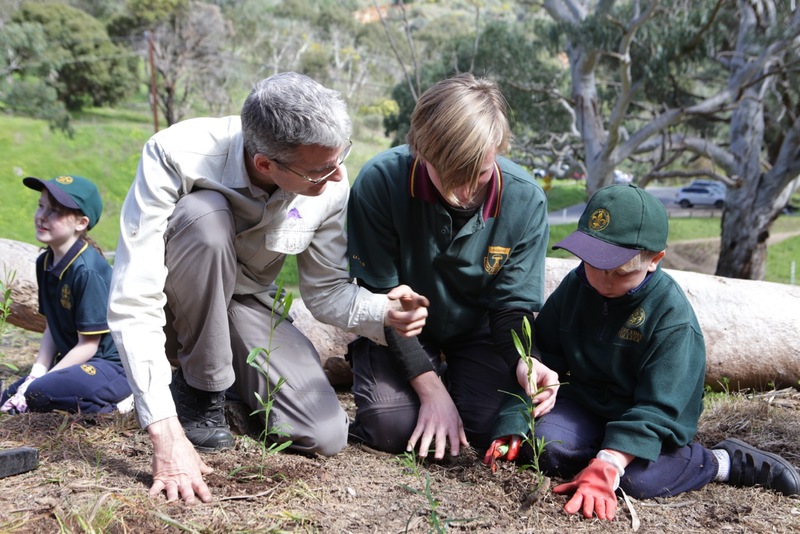 We will be placing tree guards on the remaining native seedlings and watering if necessary. 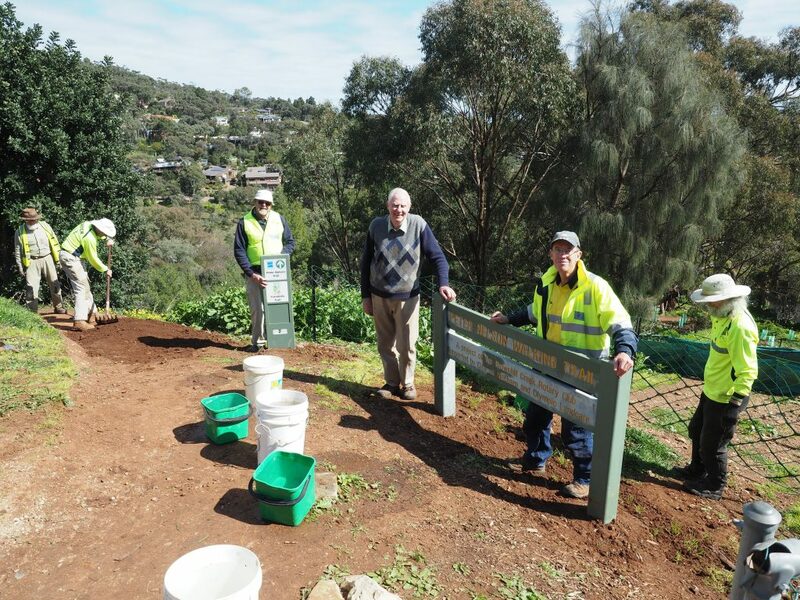 29 September: Friends of Brownhill Creek Working Bee. 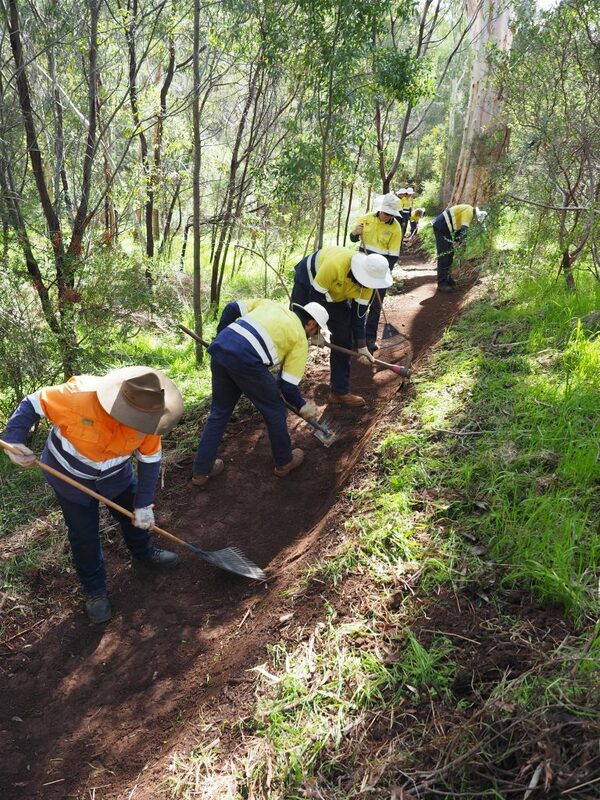 19 September: Establishing the final route for difficult sections of the Wirraparinga Loop Trail. Thank you to Mitcham Council Trails Officer, Justin Sexton. 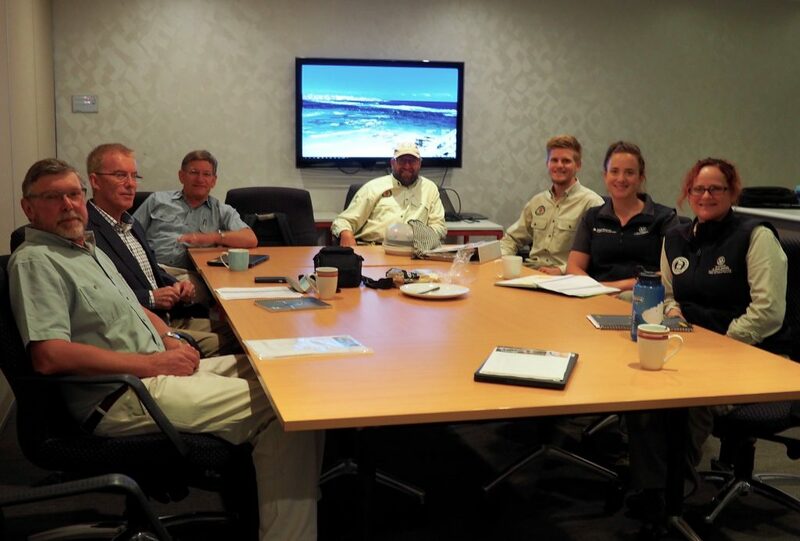 18 September: BCA meeting with DEW/NRM-Planning the next 5 years of our work in Brownhill Creek Recreation Park. 15 September: Watering and maintenance of new plantings by the community. Thank you! 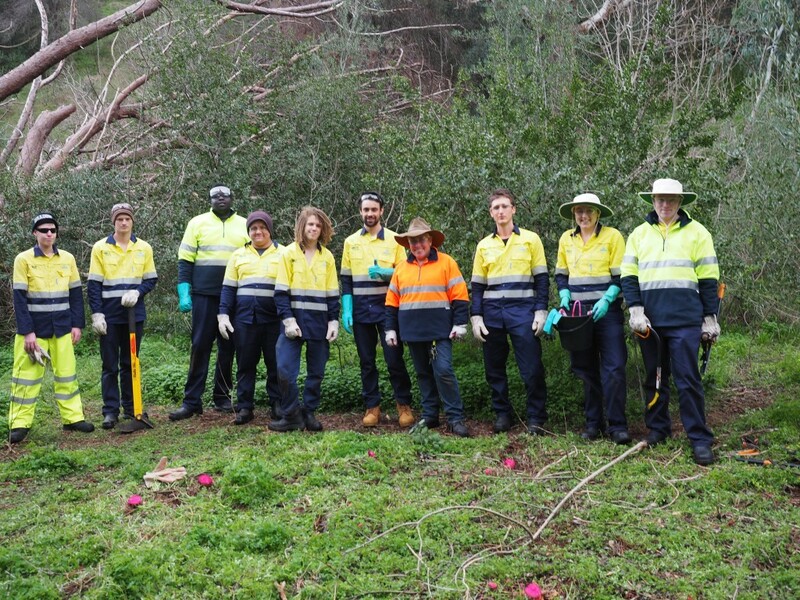 7 September: Conservation Volunteers Australia (CVA) spend a ‘Threatened Species Day’ in Brownhill Creek Recreation Park aiding the Southern Brown Bandicoot colony. A big thank you to Darren Kennedy and his volunteers. 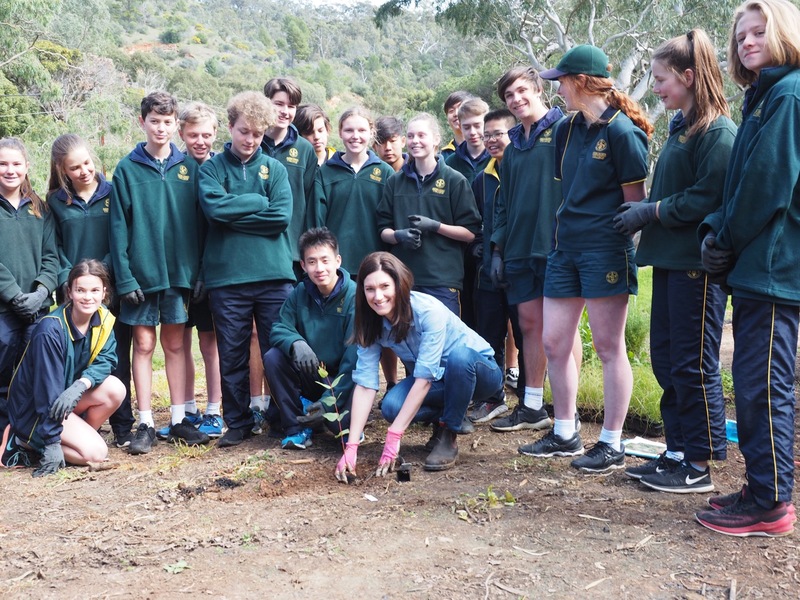 5 September: Urrbrae Agricultural High School Year 9 Students spend a volunteer day in Brownhill Creek Recreation Park. Thank you so much! 30 August: Kaurna Repatriation Ceremony at Tennyson Dunes. 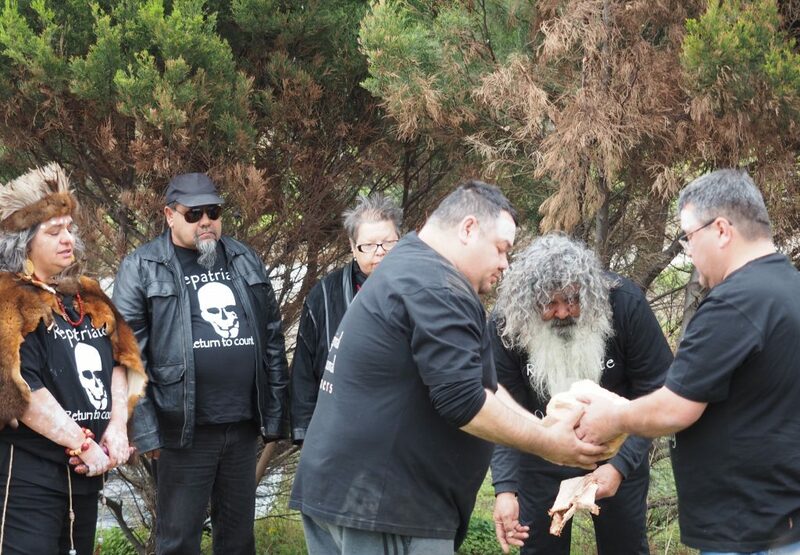 Kaurna remains were returned from Sweden and buried in a moving ceremony. So many remains yet to be returned to country! Mayoral Civic Reception for Volunteers and Community Groups. 28 August: The big annual event! Nicolle Flint MP, Federal Member for Boothby, was the keynote speaker. Over 200 students, plus teachers and parents. Students from Scotch College, Mercedes College and Urrbrae Agricultural High School. Community groups included Brownhill Creek Association (Ed & Reveg Committee chaired by Professor Wayne Meyer), The Friends of Brownhill Creek and the Rotary Club of Brownhill Creek. Park Ranger Bec Brown (DEW), NRM Support Staff Kat Hill and Sophie Harrison, NRM Education Officers Jeremy Gramp, Steve Walker and Sam Ryan. Teachers Steve Wasilewski and Melissa Buske from Mercedes College, David Pace and Sue McKenzie from Scotch College, Ann-Louise Breeding from Urrbrae Agricultural High School and others. 2,300 plants purchased by Kat Hill from Karen Lane (Growing Bush). 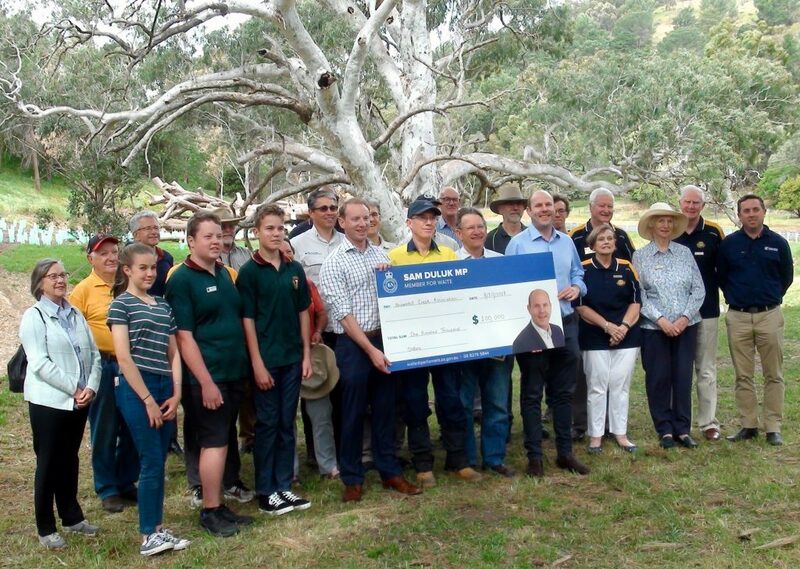 35 red gums purchased by the Rotary Club of Brownhill Creek, plus $7,000.00 donated for site preparation by the Rotary Club of Brownhill Creek. Rotarian Alan Deverell organised this support. The revegetation project at this site will improve native biodiversity and habitat, as well as improving water quality in Brownhill Creek. 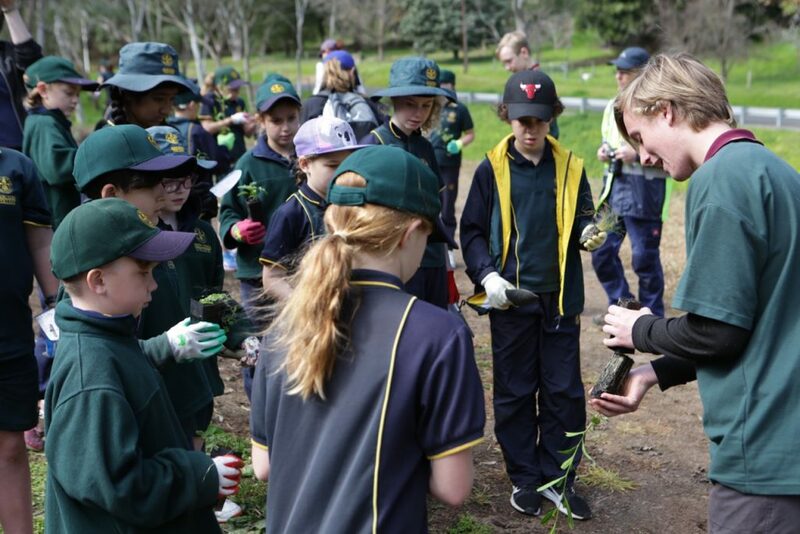 In addition, this project has provided access along the Wirraparinga Loop Trail, created a popular nature play area and has excited and inspired the community to connect with nature. 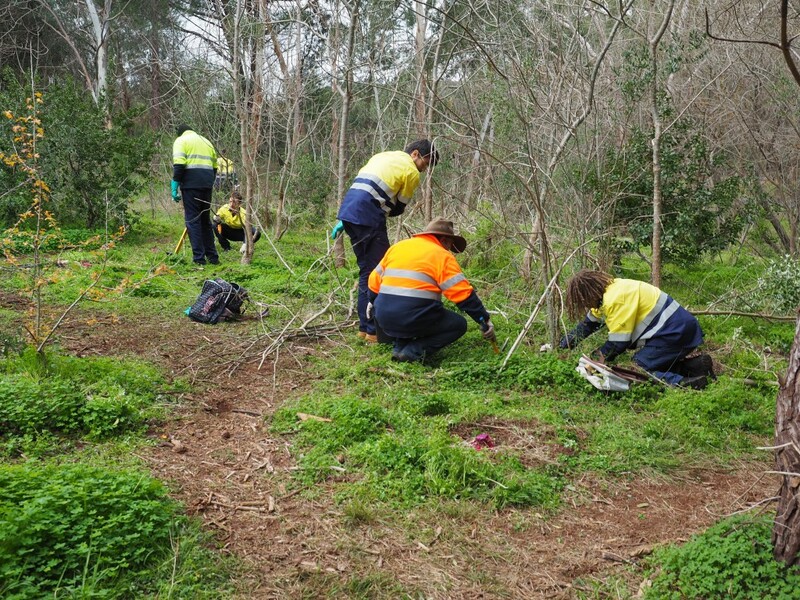 An unexpected outcome is the increase in volunteers coming forward to help maintain this revegetation site and contribute to Brownhill Creek Recreation Park as a whole. 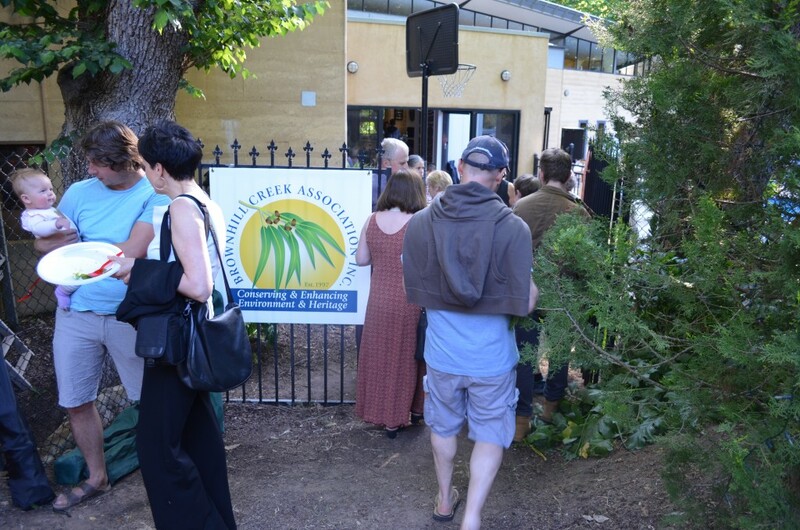 Moreover, Urrbrae Agricultural High School has agreed to adopt this patch of the Park, backed by the Rotary Club of Brownhill Creek, the Friends of Brownhill Creek, Brownhill Creek Association, local residents and even tourists staying at the Brownhill Creek Tourist Park! 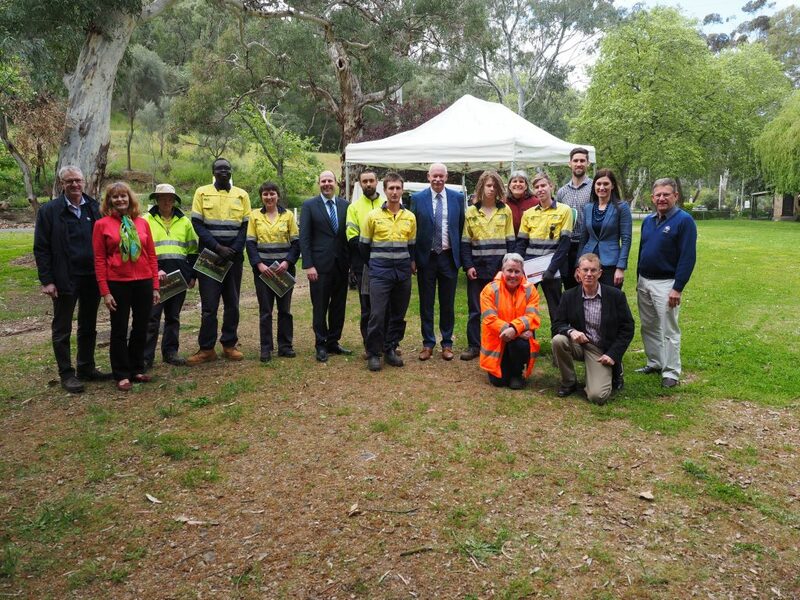 This project has also attracted the attention and support of the Minister for Environment David Speirs MP, Sam Duluk MP (State Member for Waite), Nicolle Flint MP (Federal Member for Boothby) and Mitcham Council. This project has been a successful collaboration between the community and DEW/NRM. 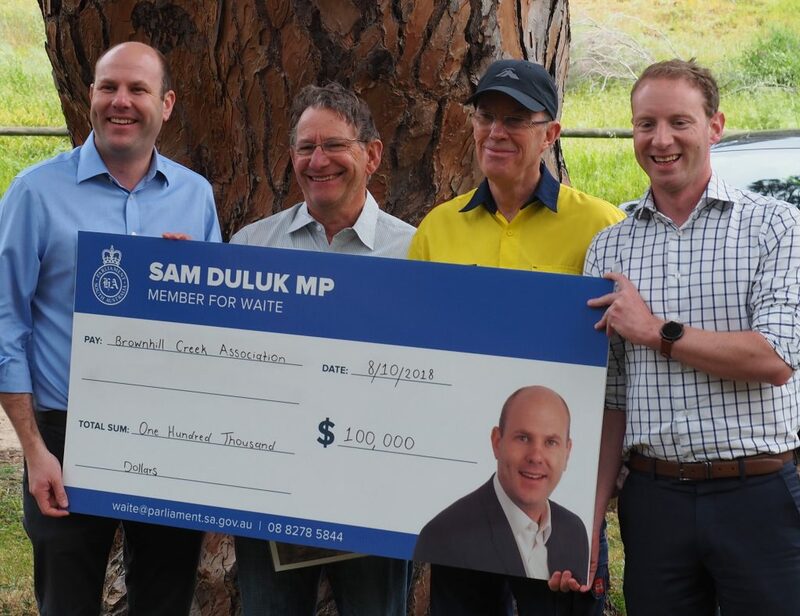 Minister David Speirs MP and Sam Duluk MP have delivered $100,000.00 in funding to support the work of The Friends of Brownhill Creek, schools and other volunteers in Brownhill Creek Recreation Park over the next five years! 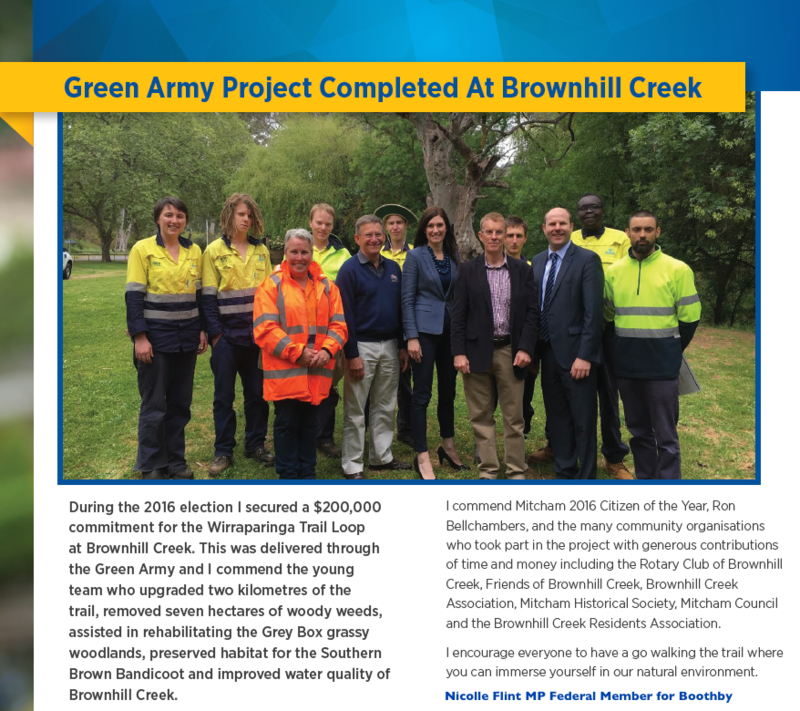 This builds on the successful $200,000.00 Brownhill Creek Green Army Project delivered by Nicolle Flint MP in 2017. Preparation works for the annual BCA Education & Revegetation Schools’ Day. Clearing, brush cutting, spraying, ground preparation, burning of piles, collection and batching of 2,300 plants and logistical organisation. 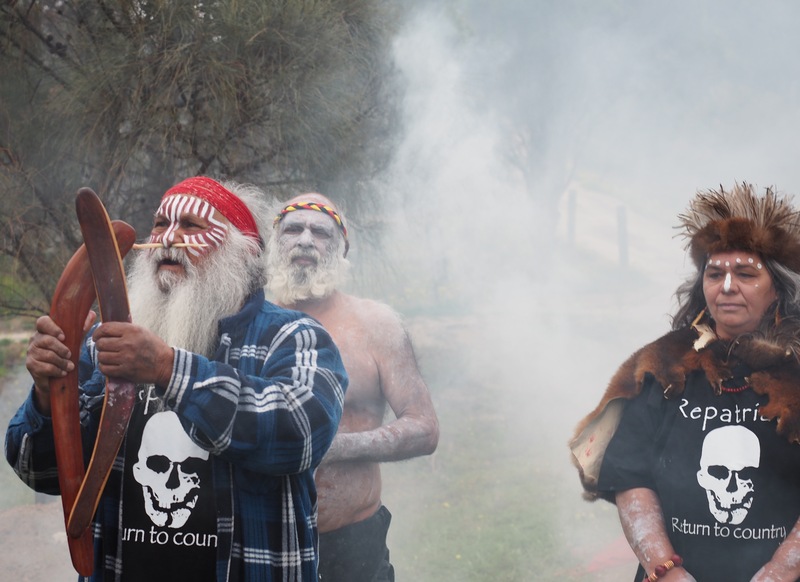 Congratulations to the Kaurna Community on their successful Land Title Claim! 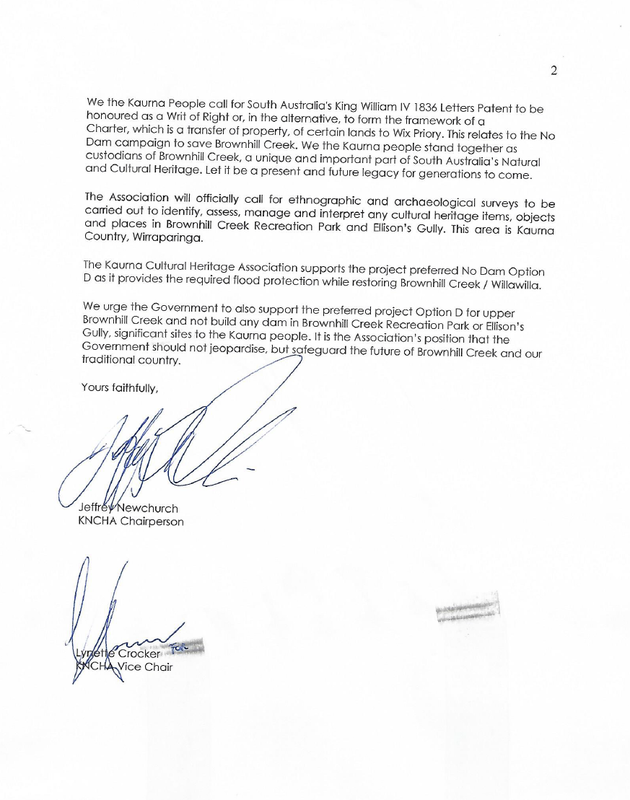 We highly value and respect our partnership with the Kaurna Nation Cultural Heritage Association. Great news for the Brown Hill Keswick Creek Stormwater Management Project. 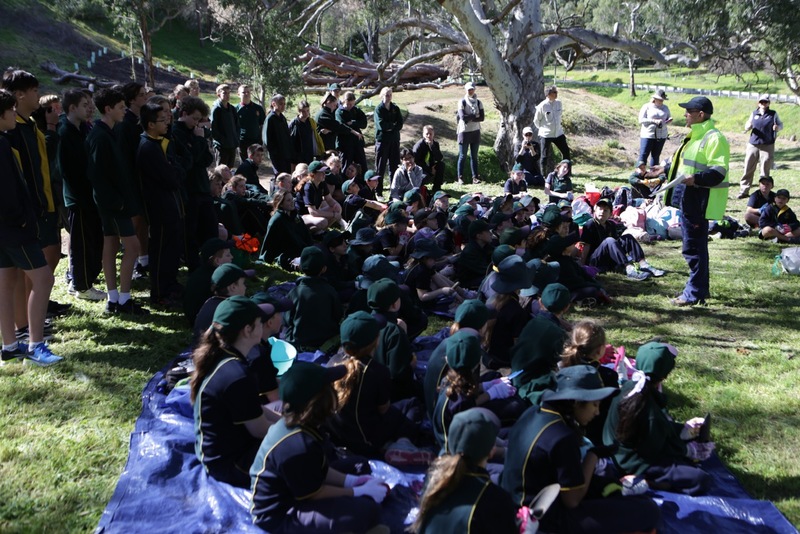 The Green Army Graduation was hosted by the Department of Environment Water and Natural Resources and BCA to celebrate the successful 5 month, $200,000 Green Army project in Brownhill Creek Recreation Park. The enthusiastic and hard working team was led professionally by their inspirational supervisor Jodie Bambridge (Conservation Volunteers Australia). It has been an absolute privilege to work with such a wonderful group of young people and we wish them well for the future. The graduation ceremony was followed by a BBQ lunch. The Peter Nelson Trail is part of the Yurrebilla Trail and forms part of the proposed Wirraparinga Loop Trail. Among the dedicated volunteers from the Mitcham Council area were members of the Rotary Club of Brownhill Creek, Brownhill Creek Association and The Friends of Brownhill Creek. Thank you to Mitcham Council for upgrading the trail and hosting the community event. GREEN ARMY PROJECT HAS BEGUN IN BROWNHILL CREEK RECREATION PARK. 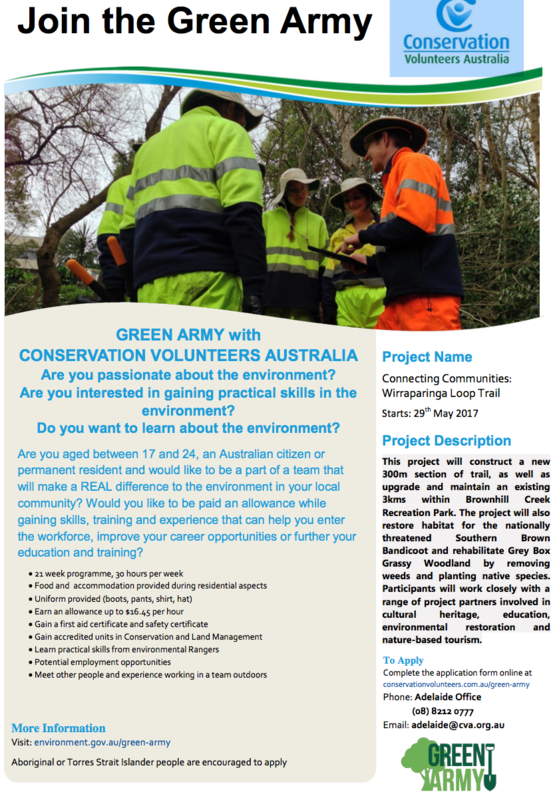 GREEN ARMY PROJECT TO BEGIN IN BROWNHILL CREEK RECREATION PARK ON 29 MAY, 2017. APPLY NOW IF YOU ARE BETWEEN 17 AND 24 YEARS OF AGE. 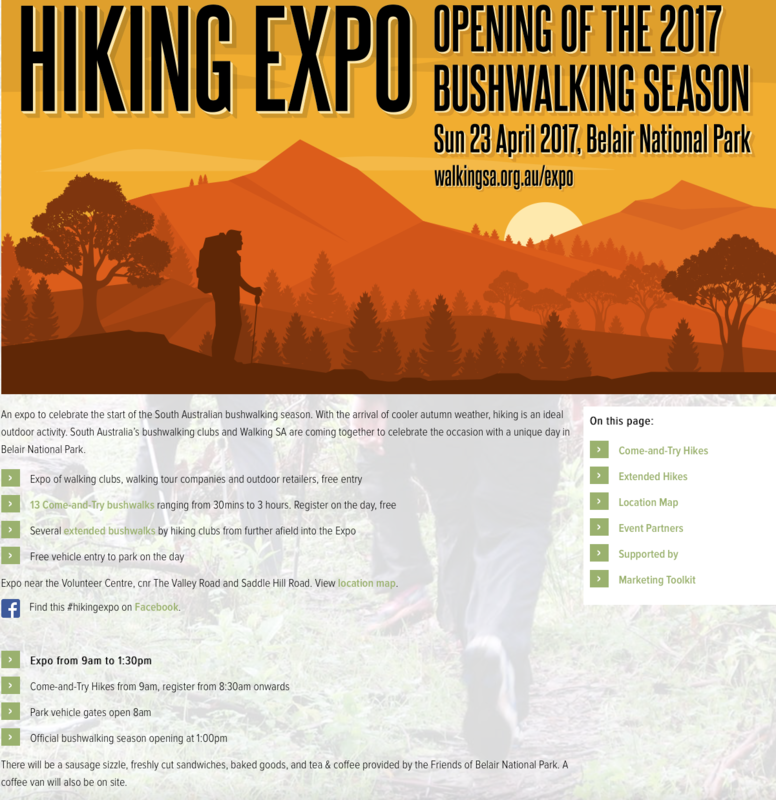 One of the external/extended hikes will leave from Mitcham Reserve at 8.30am and finish in Belair National Park for lunch. See Walking SA link for details. THE BROWN HILL KESWICK CREEK STORMWATER MANAGEMENT PLAN HAS BEEN APPROVED BY THE STORMWATER MANAGEMENT AUTHORITY. THE FIVE CATCHMENT COUNCILS AND THE STATE GOVERNMENT HAVE REACHED AN AGREEMENT ON FUNDING! THE PROJECT CAN NOW PROCEED AND WILL DELIVER THE REQUIRED FLOOD PROTECTION ACROSS THE BROWNHILL CREEK AND KESWICK CREEK CATCHMENTS WITHOUT A DAM IN UPPER BROWNHILL CREEK. CONGRATULATIONS TO ALL THOSE WHO HAVE WORKED COLLABORATIVELY AND TIRELESSLY OVER MANY YEARS TO ACHIEVE THIS HISTORIC AGREEMENT! THE FEDERAL GOVERNMENT SHOULD ALSO COMMIT FUNDS TO PROTECT FEDERAL INFRASTRUCTURE AND HELP SPEED UP THE IMPLEMENTATION OF THE PROJECT. 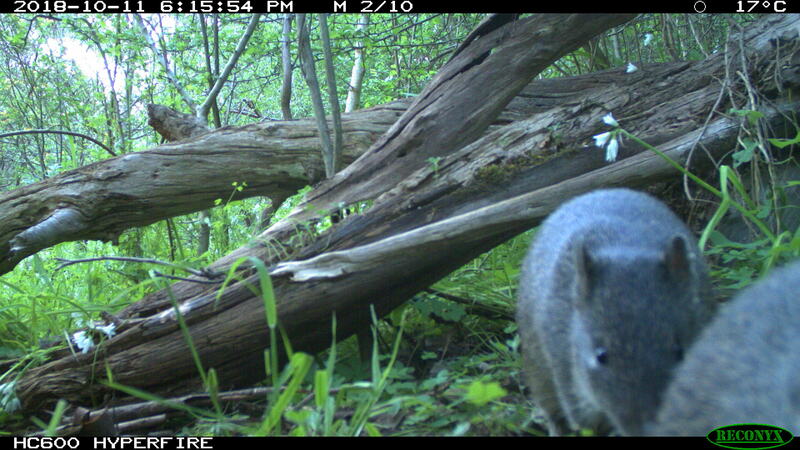 CONFIRMED SOUTHERN BROWN BANDICOOT SIGHTINGS IN BROWNHILL CREEK RECREATION PARK! 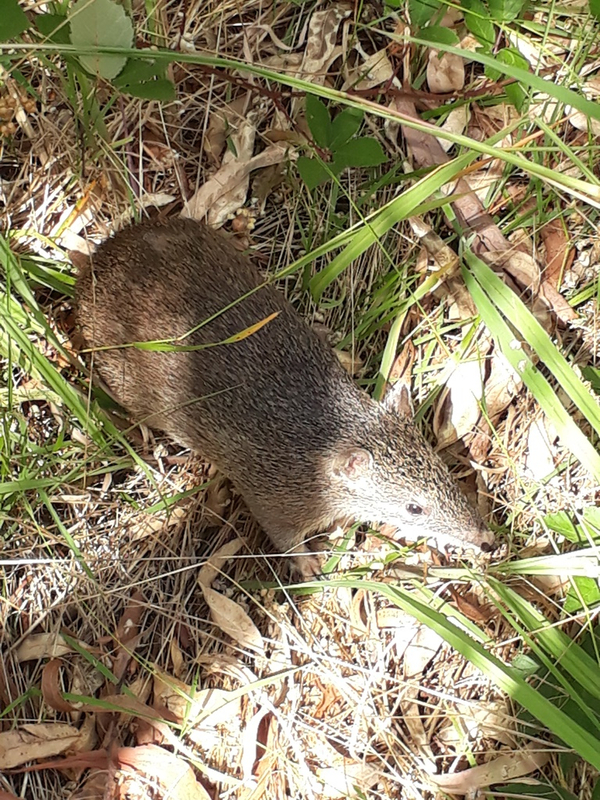 Giles Goldney, TAFE lecturer in Conservation and Land Management and his students made two confirmed sightings of the nationally endangered (EPBC Act) Southern Brown Bandicoot (Isoodon Obesulus) in Brownhill Creek Recreation Park. 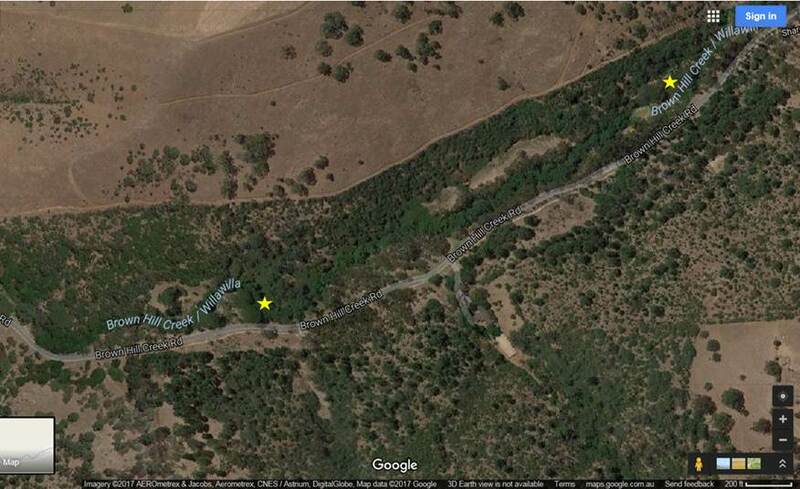 One confirmed sighting was at Seven Pines and one further up the valley (see map). 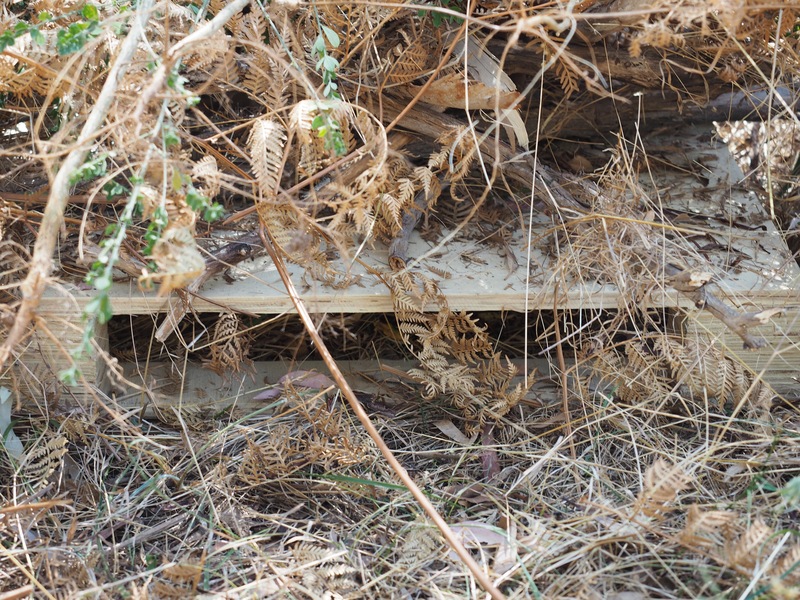 This follows the confirmation of a colony of Southern Brown Bandicoots in Brownhill Creek Recreation Park by DEWNR ecologists and rangers and another confirmed sighting by Flinders University student Peter Reeve. 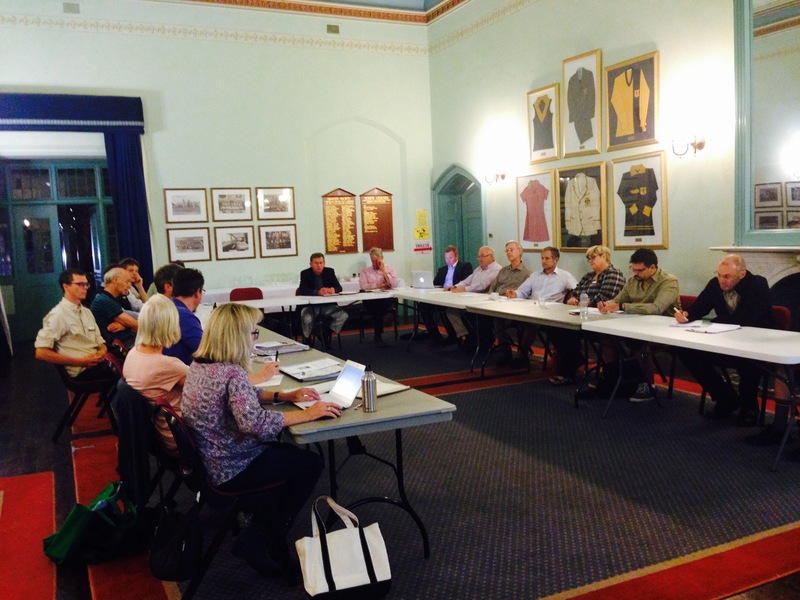 WIRRAPARINGA LOOP TRAIL STAKEHOLDER AGREEMENT MEETING A SUCCESS! The Brownhill Creek Environmental Action Day on Friday 21st October was a successful and enjoyable event. 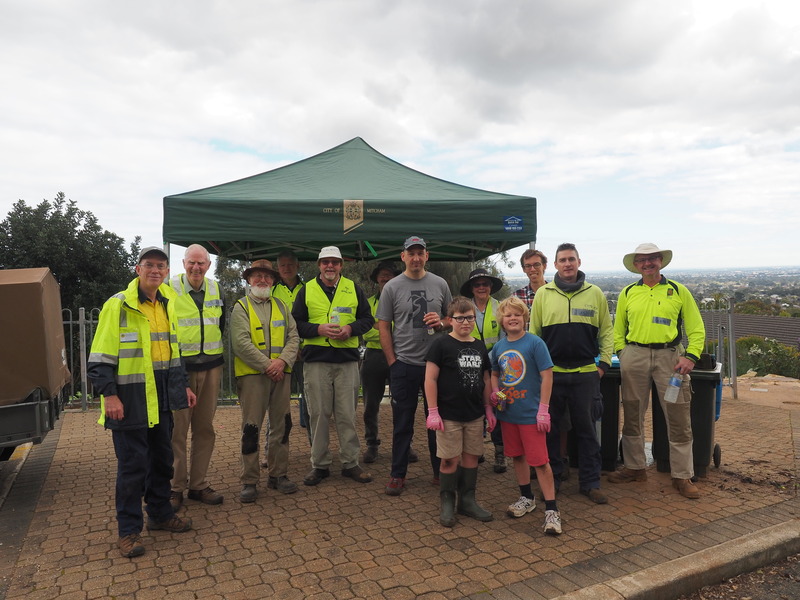 Thank you to the main organisers Ann-Louise Breeding (Urrbrae Wetlands Manager) and Jeremy Gramp (NRM Education), along with Garth Borroughs (Urrbrae Agricultural High School), Steve Walker (NRM Education), David Pace (Scotch College) and Professor Wayne Meyer. 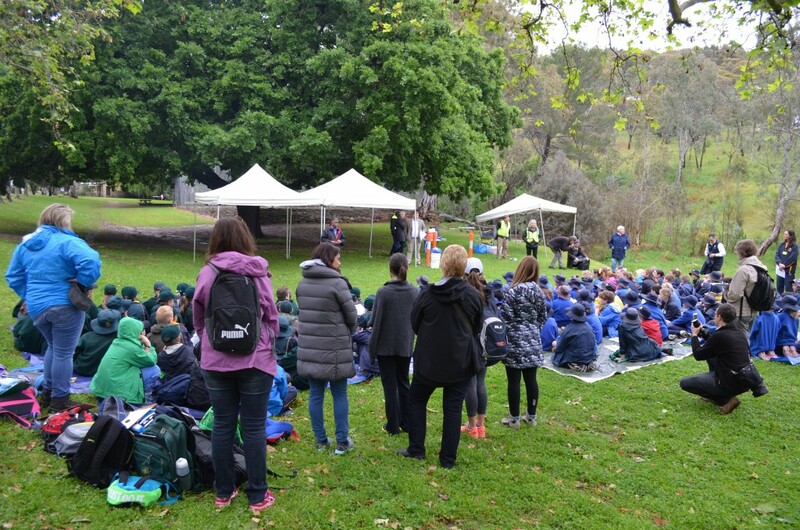 Thanks also to the Urrbrae students who provided leadership roles, all NRM/DEWNR support staff, teachers, parents and the many helpers. Gavin Dyer, the proprietor of Brownhill Creek Tourist Park and his staff are to be commended for supporting the event and generously providing their facilities. We are indeed fortunate to have Professor Wayne Meyer as Chairperson of the Education & Revegetation Committee and to have such talented and committed committee members. Thank you to Scotch College for hosting the committee meetings and for strongly supporting our aims and objectives. The almost 200 students that attended enjoyed their outdoor classroom and the range of activities on offer. Their behaviour, enthusiasm and level of involvement was exemplary. It was an honour and privilege to have Professor Chris Daniels as keynote speaker and to have Kaurna Elders Jeffrey Newchurch and Frank Wanganeen sharing their cultural heritage and welcoming us to country. Mitcham Council’s, Mitcham Heritage Research Centre, provided expert historical information and the expertise of NRM Education and DEWNR staff is invaluable. 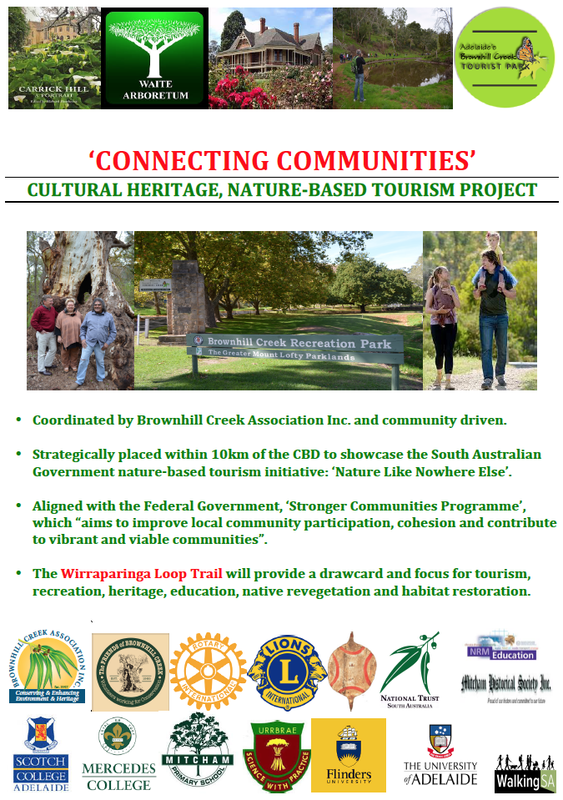 Attached below is the programme and a summary of the Cultural Heritage session which concentrated on just the entrance to Brownhill Creek Recreation Park (one of 12 possible activities on the day). A summary of all other activity sessions (science based) will be available soon. A successful Tourism Forum was hosted by Carrick Hill to progress the Connecting Communities/Wirraparinga Loop Trail Project. 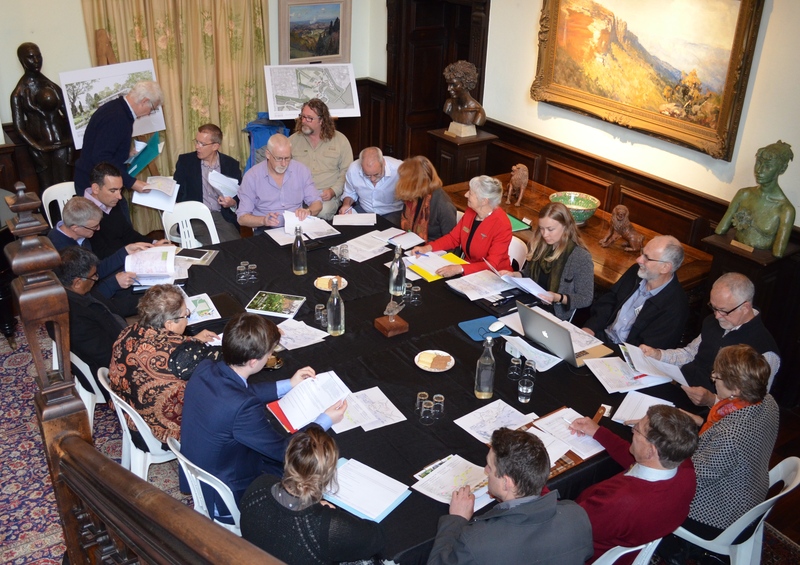 Carrick Hill is set to become the tourism hub for a Cultural Heritage and Nature-Based Tourism Precinct. The proposed Carrick Hill Pavilion (multi-purpose visitor centre) will provide trailhead facilities for the Wirraparinga Loop Trail. Key stakeholders represented at the forum: Carrick Hill; Brownhill Creek Association; Kaurna Nation Cultural Heritage Association; The Friends of Brownhill Creek; Mitcham Historical Society; Walking SA; The University of Adelaide Waite Campus; Mitcham Council; Mitcham Heritage Research Centre; DEWNR/NRM; South Australian Tourism Commission; Local Education & Revegetation Committee; Nicolle Flint MP (Federal Member for Boothby) Electorate Office; Martin Hamilton-Smith MP (State Member for Waite) Electorate Office. JUNE, JULY & AUGUST MEETINGS AND WORKSHOPS HELD TO PLAN THE CONNECTING COMMUNITIES/WIRRAPARINGA LOOP TRAIL PROJECT. 1. 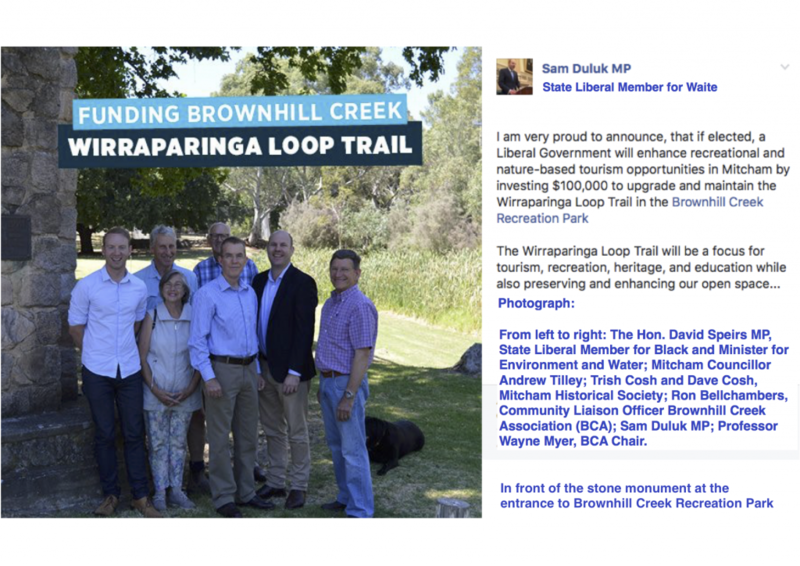 THE FEDERAL COALITION GOVERNMENT HAVE PROMISED TO DELIVER A $200,000.00 GREEN ARMY PROJECT FOR THE WIRRAPARINGA LOOP TRAIL AND BROWNHILL CREEK! 2. 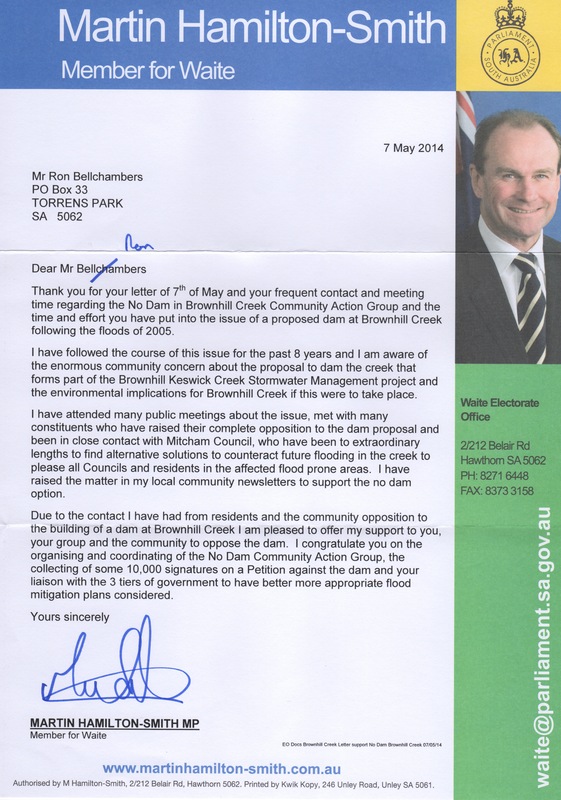 LABOR COMMITS TO FLOOD MITIGATION FOR BROWNHILL AND KESWICK CREEKS! A ‘CONNECTING COMMUNITIES: CULTURAL HERITAGE AND NATURE-BASED TOURISM PROJECT’ IS BEING PLANNED! 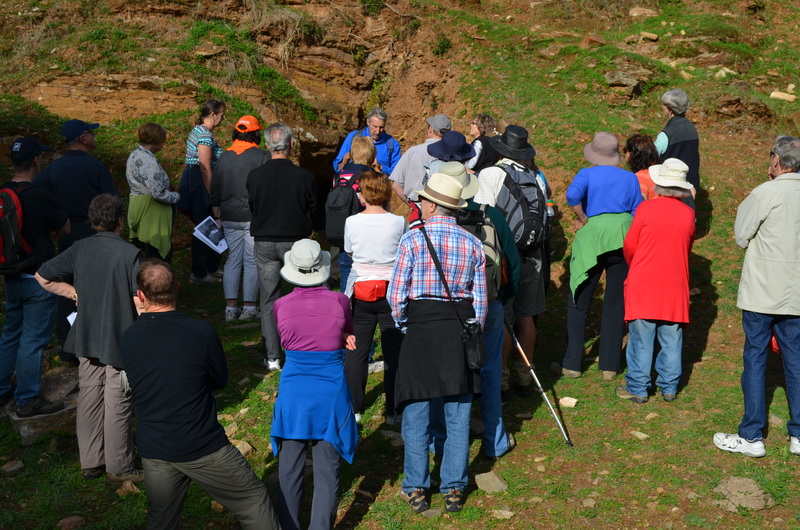 Large numbers participated in the heritage walks on the 1st and 15th of May. 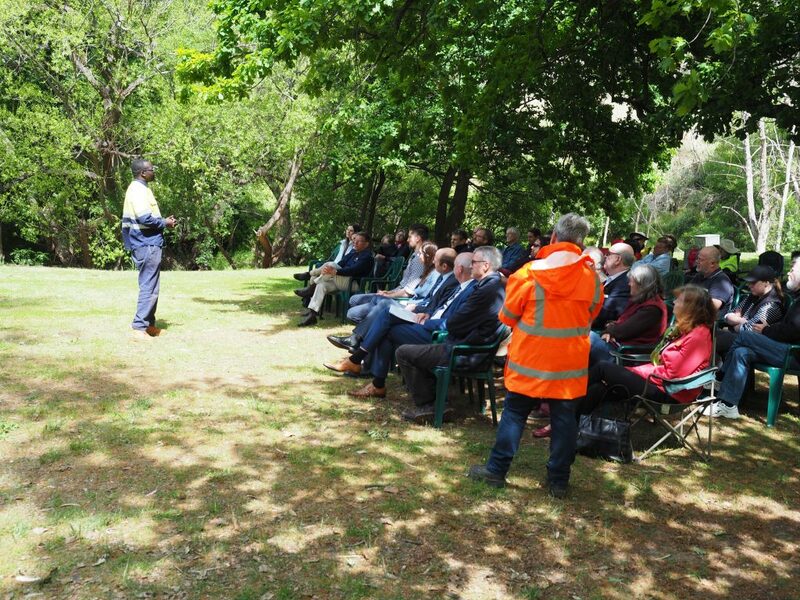 Thank you to Mitcham Historical Society for organising these events and a special thank you to our knowledgeable local Mitcham Councillor Andrew Tilley for leading these entertaining walks. 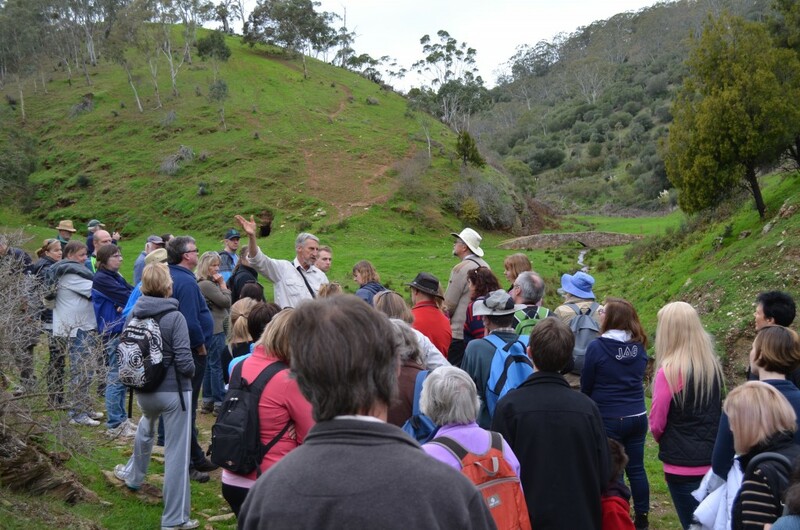 The Heritage Tourism Workshop on Wednesday 20th April will provide a wonderful opportunity to learn about local tourism opportunities for SA and to workshop our ‘Connecting Communities’ nature-based tourism project. 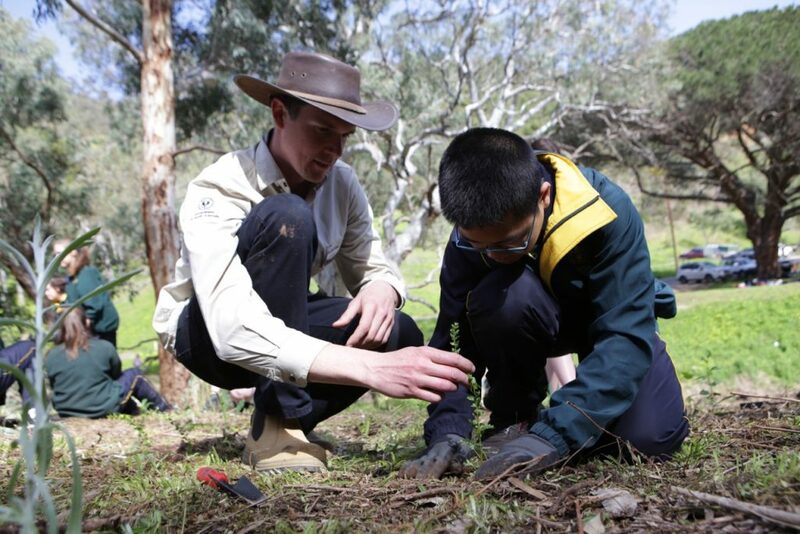 Local schools, NRM Education Officers and DEWNR Rangers are coming together to plan their involvement in environment and heritage initiatives for the Wirraparinga Loop Trail, central to the Connecting Communities Project. 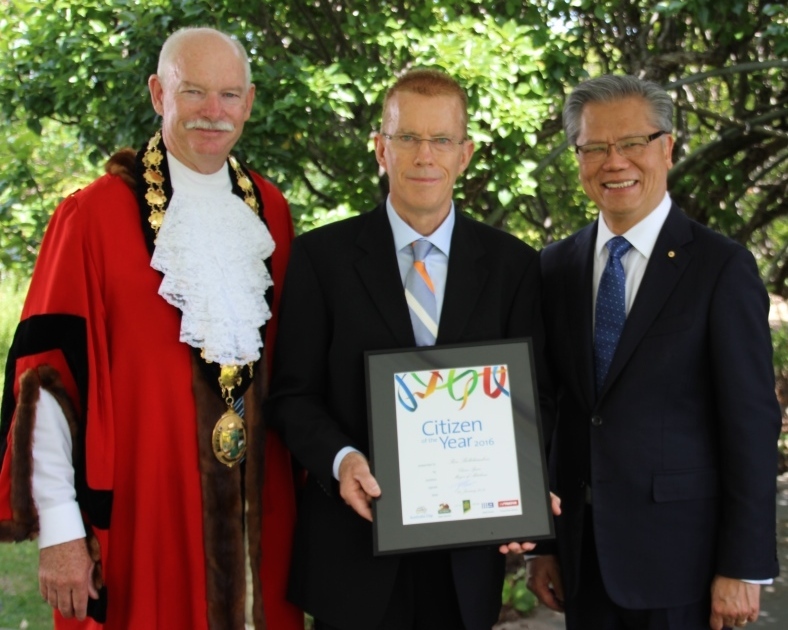 Ron Bellchambers, Community Liaison Officer for Brownhill Creek Association, proudly accepted the 2016 Citizen of the Year Award on behalf of the many community volunteers and community groups (including BCA) that worked so hard over 4 years to document and protect our local environment and heritage. The award was presented by His Excellency, the Hon. 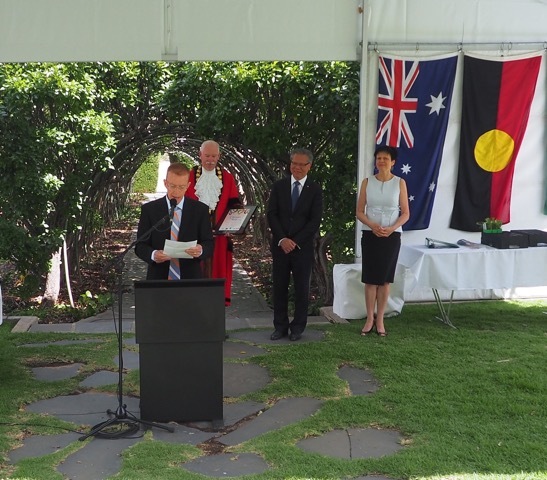 Hieu Van Le, Governor of South Australia at Carrick Hill, with Mayor Glenn Spear officiating. Exciting opportunities now exist for the restoration of Brownhill Creek, re-vegetation projects and the development of extended walking trails, educational programs and local tourism initiatives. 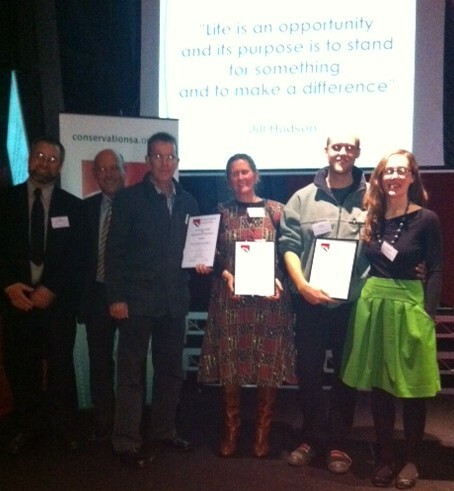 David Wagner (photo: back row right), President of The Friends of Brownhill Creek and Ron Bellchambers (photo: back row centre), BCA Liaison Officer, were joint Runners-Up for the Conservation Council SA Unsung Heroes Award. 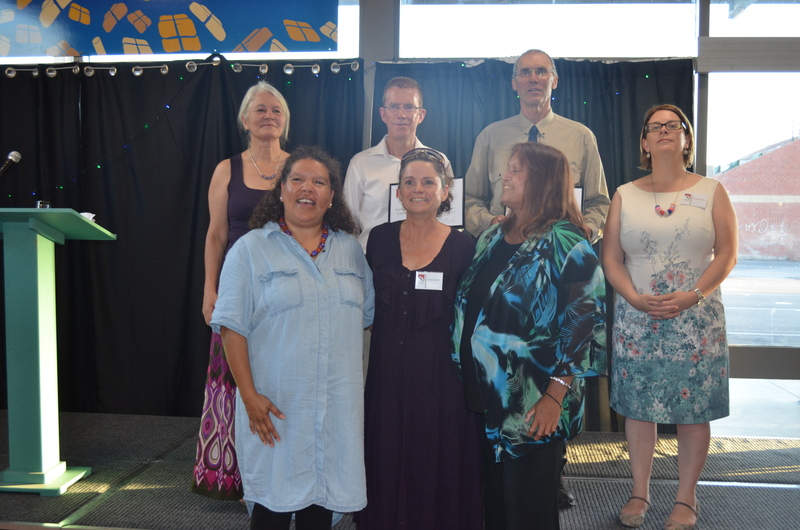 Sandy Pitcher, the Chief Executive of the Department of Environment, Water and Natural Resources (photo: far right), presented the awards. David Wagner’s decades long volunteer work in Brownhill Creek Recreation Park is legendary and he has been an inspiration and mentor to those involved in preserving and enhancing our local environment. Ron Bellchambers led the successful no dam campaign for four years and is a member of the BCA Steering Committee, which is continuing to work with environment and heritage groups (including The Friends of Brownhill Creek) to support the revegetation and rehabilitation of Brownhill Creek, develop local tourism, aid in the expansion of community recreational and heritage walking trails and help develop educational programs with local schools. ALL FIVE COUNCILS HAVE VOTED IN FAVOUR OF NO DAM OPTION D.
There is no chance of a dam option proceeding in upper Brownhill Creek. A Brown Hill Keswick Creek Stormwater Management Plan is now being finalised for approval by the Stormwater Management Authority in early 2016. This final Stormwater Management Plan will combine Part A Works (80% of the plan) in the urban sub-catchments of lower Brownhill Creek and Keswick, Glen Osmond and Parklands Creeks with Part B Works (20% of the plan) in the upper Brownhill Creek catchment (Option D). 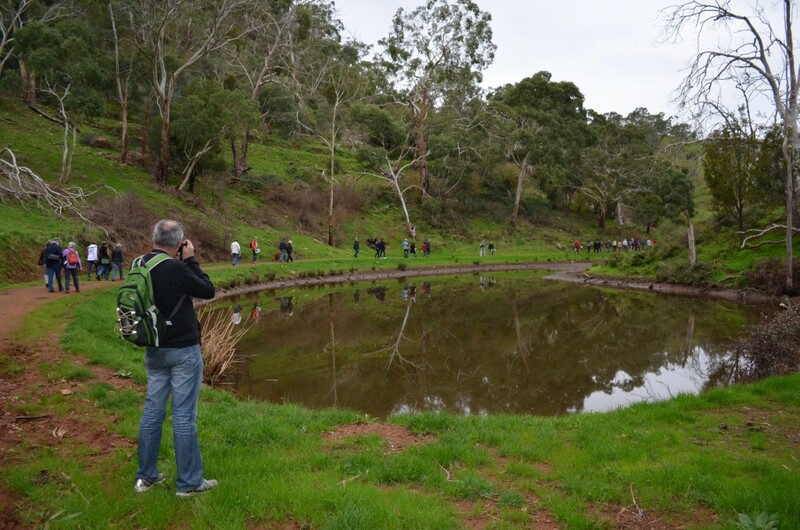 Councils and community groups can now join together to seek funding and make sure that all stakeholders and our shared environment and heritage benefit from the implementation of a Brown Hill Keswick Creek Stormwater Management Plan. 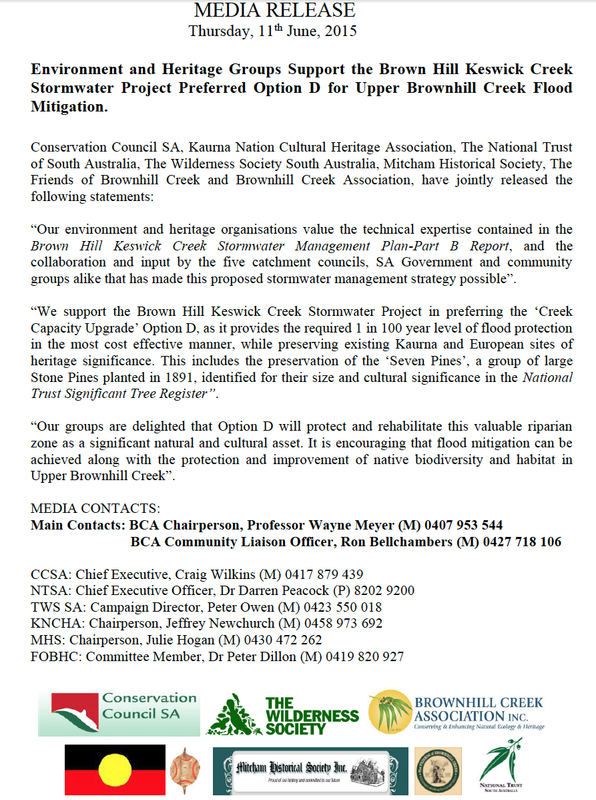 This is a historic agreement and BCA wishes to thank everyone who has worked so hard over many years to achieve this common sense outcome in upper Brownhill Creek. A special thank you must go to West Torrens Council and Mitcham Council for their patience and leadership in working towards a collective solution. Adelaide, Burnside and Unley Councils should also be thanked for their efforts to achieve a resolution. 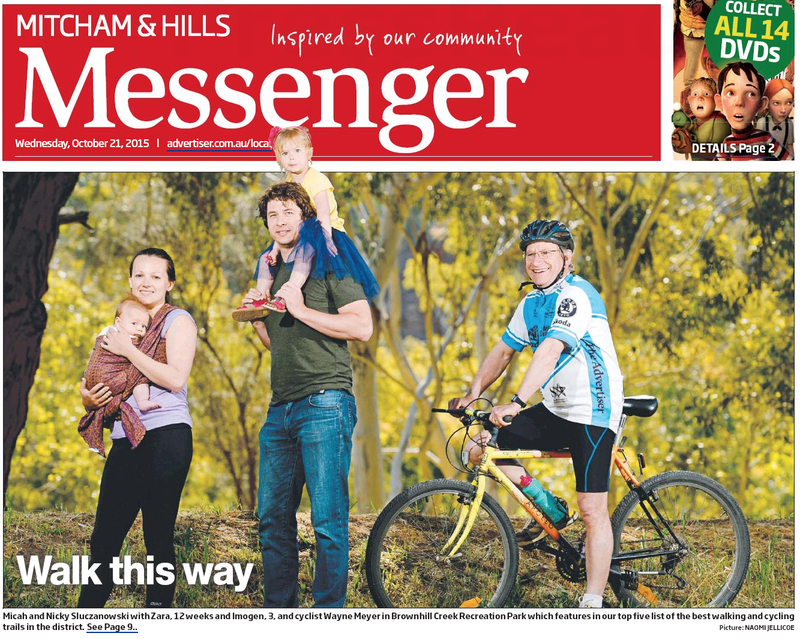 VALUE OF BROWNHILL CREEK RECREATION PARK AND ENVIRONS RECOGNISED IN THE MESSENGER PRESS: “Features in our top five list of the best walking and cycling trails in the district” (Mitcham & Hills Messenger, 21 October, 2015). NO DAM OPTION D SUPPORTED BY 85% OF COMMUNITY CONSULTATION RESPONDENTS! PUBLIC CONSULTATION CLOSED: It is likely that a public consultation report will be finalised and presented to Adelaide, Burnside, Mitcham, Unley and West Torrens Councils in August, 2015. A decision on the chosen option for Part B works by councils is expected in September and a recommendation provided to the Stormwater Management Authority, possibly in October, 2015 (according to the Project Director). This may result in a final Brown Hill Keswick Creek Stormwater Management Plan being completed and presented to the Stormwater Management Authority for approval in 2015. REQUEST A FEEDBACK FORM FROM THE PROJECT BY CALLING 1800 468 835, online at www.bhkcstormwater.com.au or email bhkcstormwater.com.au (One per household from any council area in Australia, for any owner or occupier. Because it is close to the deadline you will have to collect your form from Unley Civic Centre (Unley Council 181 Unley Road Unley) on Tuesday 23 June, but only after you have registered with the project and been told that it is ready to collect. You can fill the form out there and submit it. The deadline is 5pm on Tuesday 23 June. If you are mailing your form, it will be accepted if it has an Australia Post mark of 23 June. CHOOSE THE PROJECT PREFERRED OPTION D ON THE FEEDBACK FORM. ELECTED MEMBER RESPONSES : OVERWHELMINGLY IN SUPPORT OF NO DAM OPTION D.
Cr. Nick Greer: No written response. Cr. Greer did verbally state at the BBDCA “Meet the Candidates” evening that he had no personal preference for ‘Option A,B,C, or D’, but would be guided by the recommendation of the experts. Cr. Greer then acknowledged that the current report did favour Option D. We do not wish to imply that Cr. Greer is locked into any position on options for Part B Works. Stephen has been away overseas. Stephen confirmed his support for No Dam Option D over the phone. 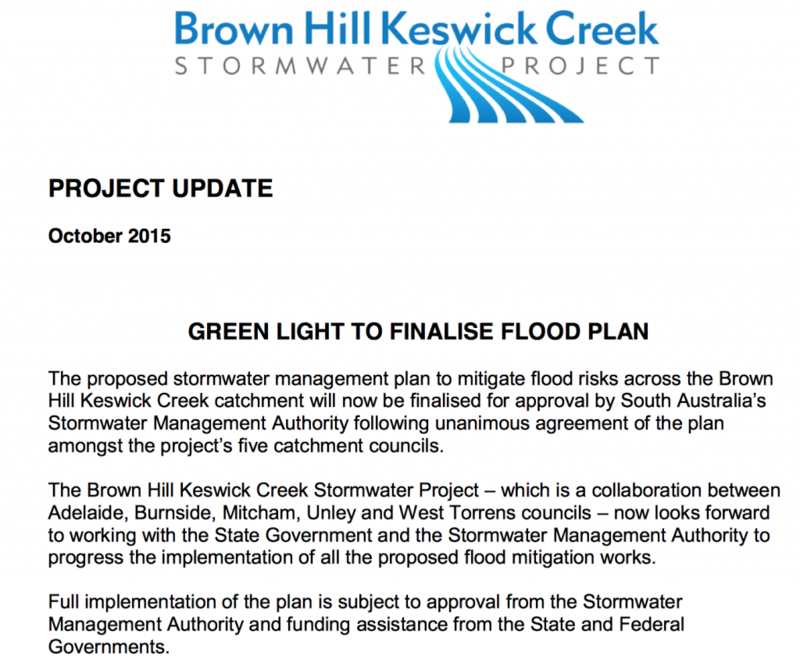 BROWN HILL KESWICK CREEK STORMWATER MANAGEMENT PLAN: PART B REPORT – SEPTEMBER 2014, HAS BEEN RELEASED (9 SEPTEMBER, 2014). The expert report and all 5 council CEO’s back the feasible and cheaper Creek Capacity Upgrade solution. 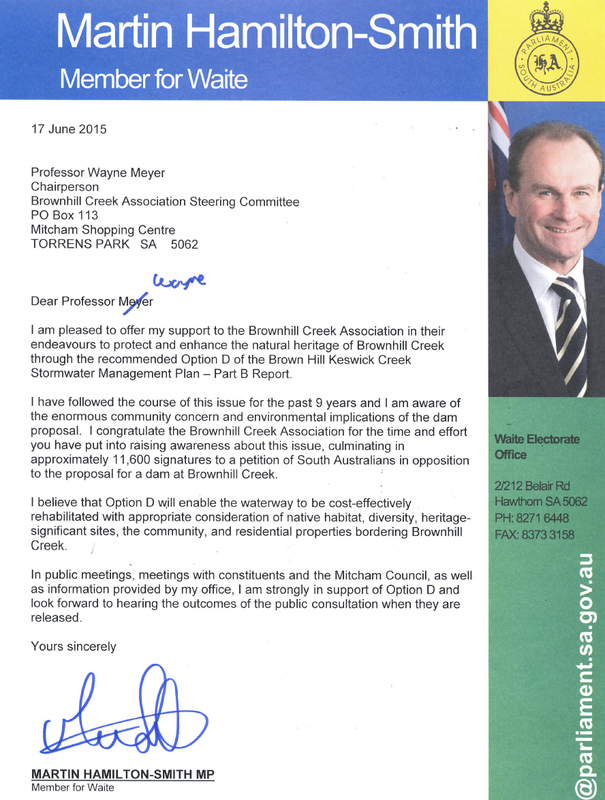 It is clearly favoured to replace a proposed dam and provide the best means of finally completing the Brown Hill Keswick Stormwater Management Plan. A final public consultation will be undertaken in March/April 2015. A final decision by the five councils is expected to follow in May 2015. 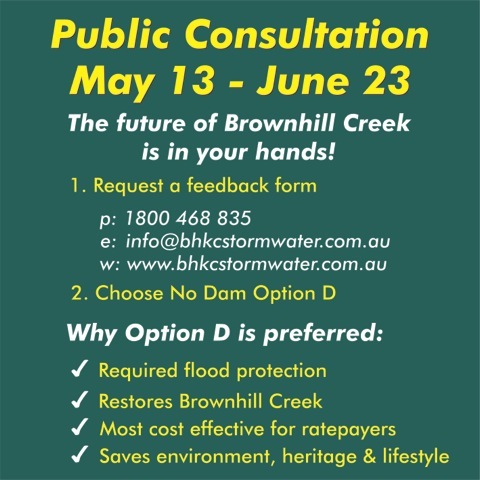 A No Dam / No Large Culverts Option for the upper reaches of Brownhill Creek, incorporating an improved creek environment, looks set to provide the breakthrough needed to finally complete the Brown Hill Keswick Creek Stormwater Management Plan. Not only will this option provide the necessary flood mitigation, but it will also protect well documented environment and heritage assets, address (majority) community concerns and according to current estimates, is cheaper! Revised Bureau of Meteorology rainfall figures, updated hydrology and more accurate modelling have made this new option possible. 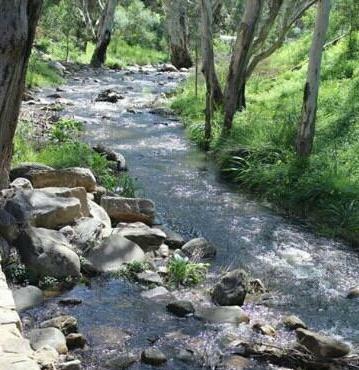 ADELAIDE’S URBAN SUBURBS SUFFER FLASH FLOODING, BUT BROWNHILL CREEK DRY AT PROPOSED DAM SITE! 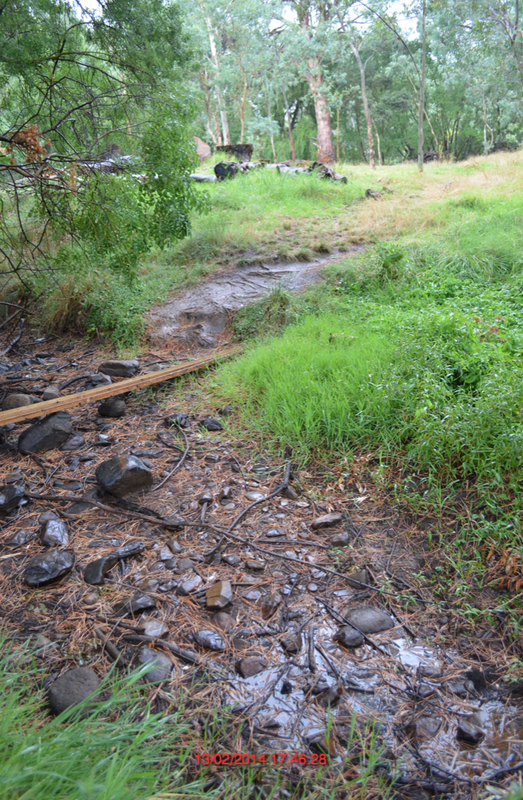 This officially verified photograph (local government representative present) was taken at the proposed dam site on 13/02/2014 at 5.46pm, proving that a dam in the rural Brownhill Creek catchment cannot protect urban Adelaide from flash flooding. Urban flood mitigation works are essential. Even at 1.30pm on Friday 14th February, after record overnight rainfall, Brownhill Creek was still not flowing at the proposed dam site! Brownhill Creek Recreation Park is classified by the IUCN as a ‘Natural Monument’ (IUCN Category III): See details on page 6 of the Brownhill Creek Recreation Park Management Plan (Department of Environment, Water and Natural Resources-DEWNR). 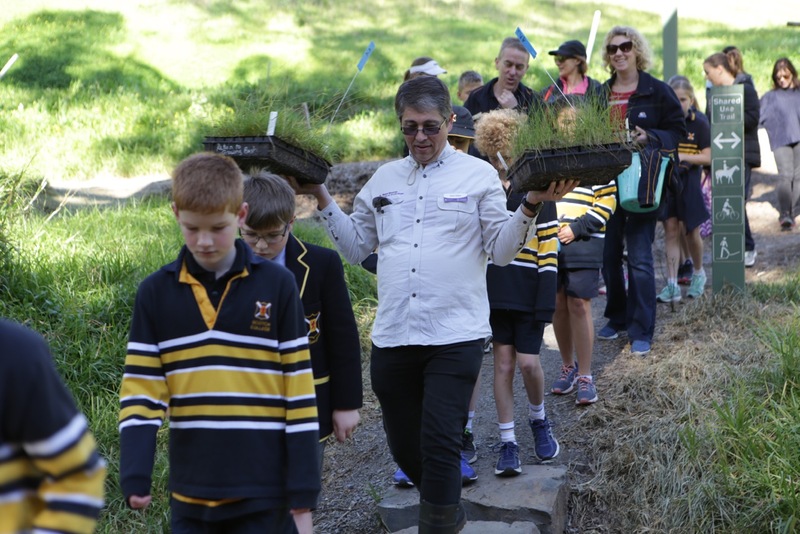 REVITALISING BROWNHILL CREEK, SOLDIERS MEMORIAL GARDEN, JWS MORRIS PARK AND DELWOOD RESERVE IN HAWTHORN. You are invited to comment on the Draft Brown Hill Creek (Hawthorn Reserves) Reconstruction Master Plan. Click on link below and respond by 5pm on Wednesday 25th September 2013. The two reports that we have been waiting for have still not been released to the public. They are the Snowy Mountains Engineering Corporation (SMEC) report into the proposed dam at Site 1 (Seven Pines) and the AWE report into the channel capacity issues for the Brownhill Creek channel between the Glenelg Tramway and Scotch College. What I can tell you is that the SMEC report has confirmed that the dam would be an extreme hazard concrete dam, with a 12metre spillway, but an overall height of at least 15metres or 5 storeys. The dam would stretch 120metres across the valley with very similar dimensions to placing South Australia’s Parliament House across the centre of Brownhill Creek Recreation Park. The concreting of the valley 30metres downstream from the dam would occur. The cost of the dam will double from original estimates. Despite the five catchment councils agreeing to proceed with 80% of the plan and to ‘pursue a feasible no dam option’,and the fact that there is a safe no dam option (3A), there is a renewed push from the same people to make sure that a dam is built. A stormwater project will not occur without federal funding and there is now a push to secure a 30% federal contribution. I have attached a letter that I wrote to the sitting Federal Member for Boothby, Andrew Southcott and he took the time to meet with me. 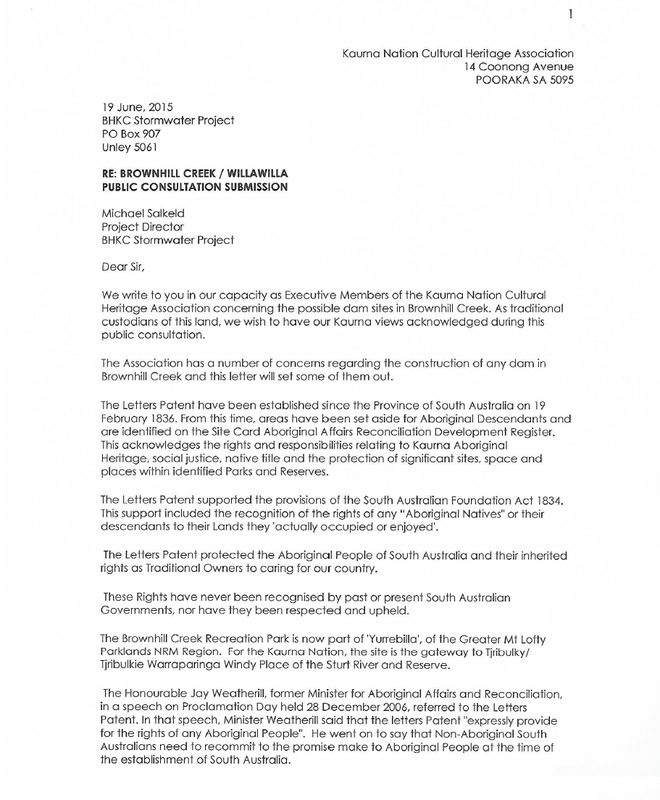 I am pleased to announce that Andrew Southcott has taken a strong, formal position against the dam and I have attached his letter of response. I also wrote to the Labor candidate for Boothby, Annabel Digance and Annabel sent an email to me stating that she personally opposed the dam and spoke to me over the phone. 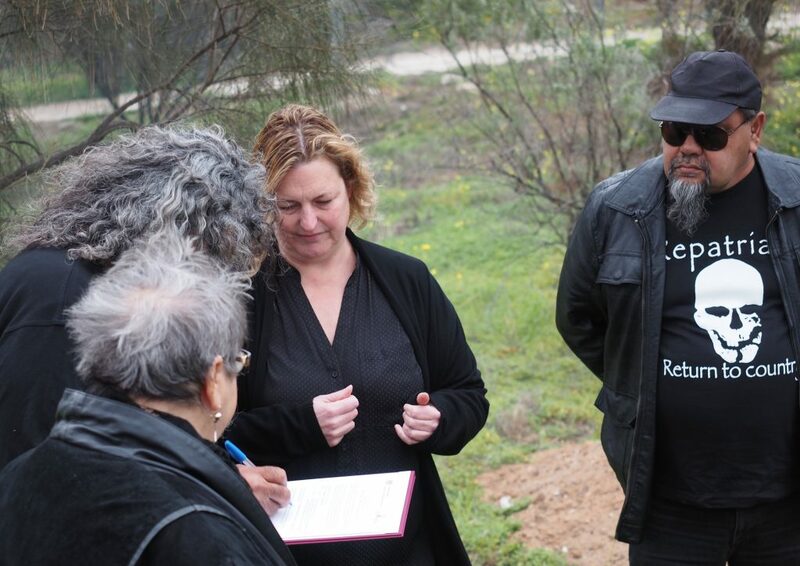 Annabel was unable to provide a formal letter opposing the dam. Peter Collins died on Saturday 31st of August after a long battle with cancer. Peter Collins and John Wilson were the joint recipients of the Citizens of the Year Award (26th January, 2013) and Peter will be remembered for his enormous efforts to help his community and his contribution to environmental causes in South Australia. In fact he helped many countries around the world, during his long career as a skilled civil engineer, and was blessed with a fine mind, kind heart and absolute integrity. There will be a celebration of The Life of Peter Collins on Friday, the 6th of September 2013, at 3pm at the Blackwood Uniting Church and Peter’s wife Karen said that all are welcome. A major article about the iconic Stone Pines at “Seven Pines”, the proposed dam site, has appeared in the Trust News Australia: Volume 6 No 1 February 2013. The National Trust magazine has a large circulation Australia wide and strong support to protect this heritage site is developing. 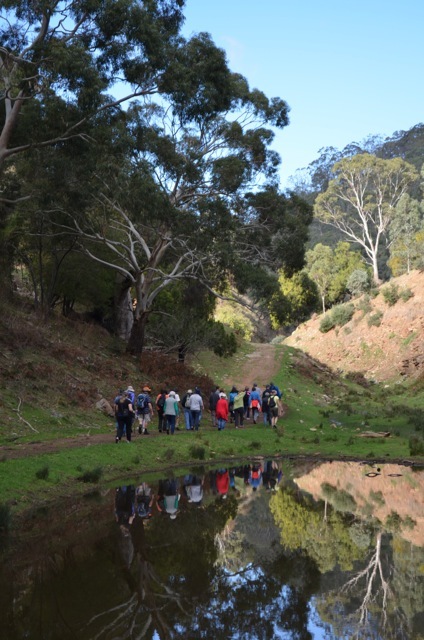 A preliminary design/cost study on the natural channel in the Upper Brownhill Creek Catchment, above the Glenelg Tramway, is being carried out by AWE. The results of this study should be released by February/March 2013. The results will be crucial for the final design of Part B flood mitigation works, which rely on the restoration of natural channel capacity. A preliminary design/cost study on the proposed dam is being carried out by SMEC. The results of this study are also expected in February/March 2013. We believe that the true cost of the dam will be significantly higher, making our No Dam Option 3A cost comparable. From left: CCSA CEO Tim Kelly; Hon. 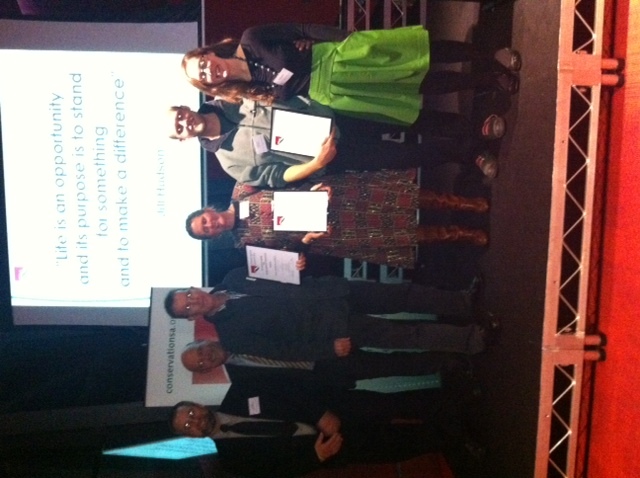 Paul Caica MP; Finalists: Ron Bellchambers; Phillipa Rowland; Dan Monceaux and Emma Stirling. We are very pleased to announce the birth of Imogen. Nicky and Micah Sluczanowski are the proud parents and we wish them all the best for their future together. Nicky worked hard to get our campaign going and we thank her for her efforts.